Salon Muse: Winter Park, Florida: Enjoy Smooth, Beautiful Skin With Us! Are you struggling with dry, rough, or dull skin? Do you find that your makeup is patchy or that the application is uneven? 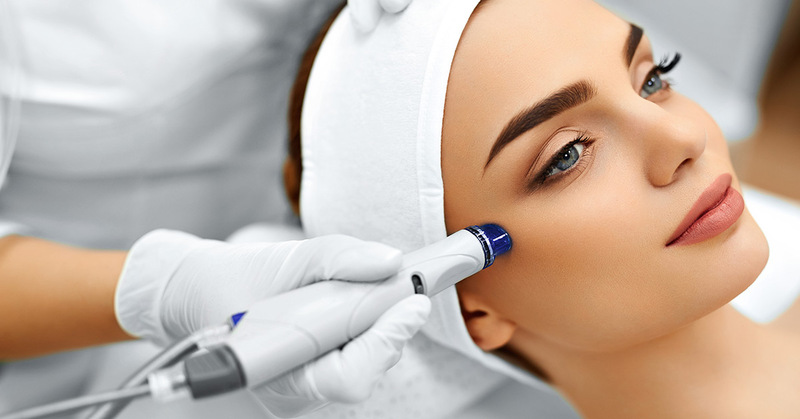 Microdermabrasion is an excellent way to reap the benefits of a traditional facial peel treatment without any of the downtime, redness, or peeling. Experience rejuvenated skin with Salon Muse today! Microdermabrasion is a skincare procedure that involves a buffing crystal disc that exfoliates and smooths the top superficial layer of dead, dull skin. A gentle vacuum removes the skin cells as they’re exfoliated and you’ll emerge with brighter, more refreshed skin. Microdermabrasion smooths fine lines and wrinkles and will help to lessen the signs of aging. It also is an excellent treatment for acne-prone skin and clogged pores. It’s extremely important to note that you should wear sunscreen immediately after finishing your treatment because your skin will be extra sensitive to the sunlight and sun damage. If you’re interested in smoother, more luminous skin, then microdermabrasion is perfect for you. The beauty of this skincare treatment is that it can be customized to your skin’s concerns. If you have sensitive skin, you can still be a candidate for microdermabrasion as the exfoliation can be reduced specifically for you. Also, this is an ideal treatment for pregnant and nursing mothers who can’t use retinols or other acids, but still would like to receive an exfoliating treatment. Microdermabrasion is the best way for you to reap the incredible benefits of a gentle facial peel without struggling with the intense redness and sensitivity. At Salon Muse, we’re proud to offer amazing and relaxing treatments to help you have your best skin. Our highly trained and knowledgeable skincare specialists are dedicated to helping you achieve perfect skin. As a Top Rated Local® salon, you’ll always emerge from Salon Muse refreshed, relaxed, and rejuvenated. Make an appointment with us today!